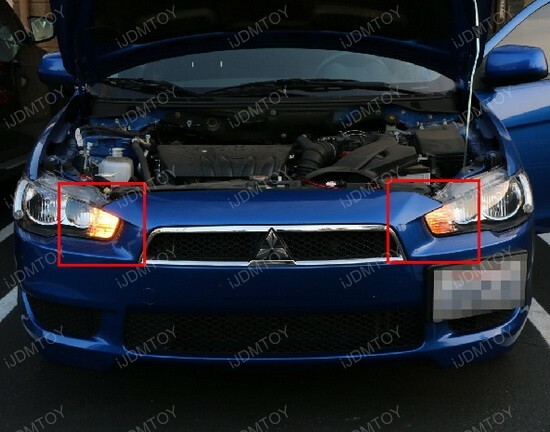 Always hate about adding load resistors when installing the LED turn signal lights? Not anymore! 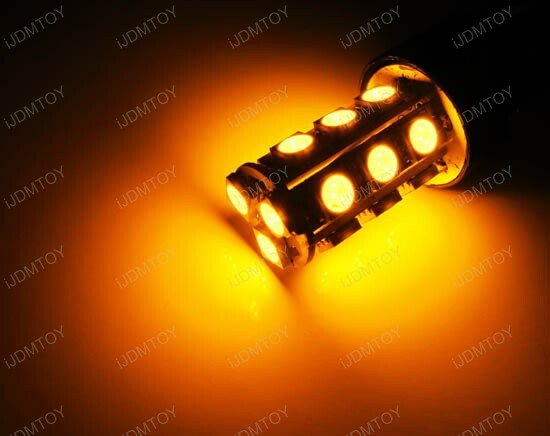 Now you can get iJDMTOY Plug and Play Error free 7440 LED turn signal light bulbs without adding tapping resistors to your stock harness and avoid your warranty. In March 2013, we first came up with this idea about designing a complete error free no resistor required and no rapid flashing LED bulbs for turn signal lights. So we decided to first introduce the 7440 bulb type because 7440 single filament bulbs are commonly used o most JDM cars such as Acura Honda Lexus Scion Mazda Nissan Infiniti for the front blinkers. (Well, this is why we are called iJDMTOY, so Japanese cars come first:). Later we will also have the 3156 and 1156 version for rest of cars out there. For many European vehicles, the turn signal housing is already a clear lens, but with an amber colored bulb inside which produces that unsightly “egg-yolk” look. 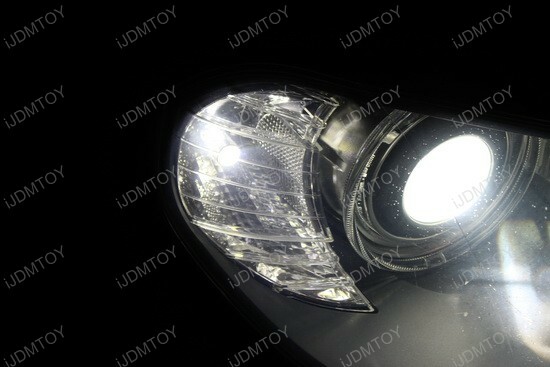 The amber bulb reflecting inside the housing distracts the eyes from the overall futuristic appearance of the other components in the headlight. 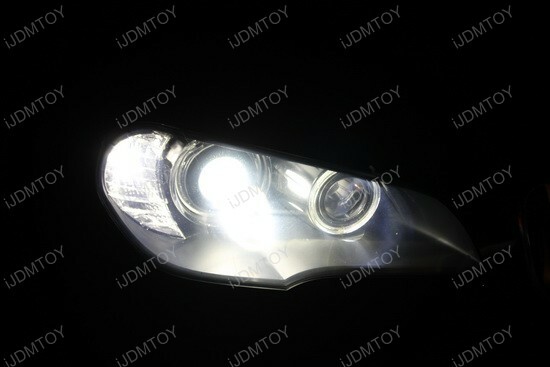 Fortunately for our customers, we have released our brand new 15-SMD 5730 PY24W/5200s sized LED replacement bulbs for this BMW X5 turn signal lights. We have two standard colors available which are Amber and Xenon White. In this particular BMW X5, the customer opted to install the Xenon White color version. Since Xenon White is not a legal color to have as the turn signals, we do recommend customers to purchase the Amber version instead. 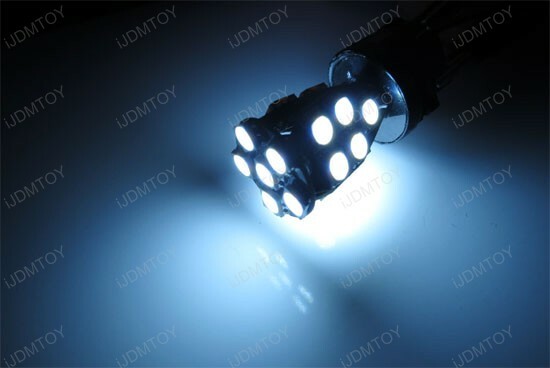 Each PY24W/5200s LED bulb contains 15 5730 SMD LED chips that produce 0.5W each. Since these lights are meant to replace turn signal bulbs on European vehicles, they are also 100% error free. Thanks to this new and revolutionary design, there are no error messages and no hyper-flashing issues and no need to add any resistors to the circuit. 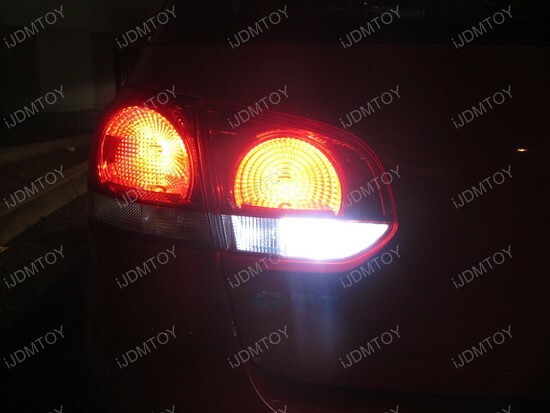 These lights can also fit a variety of other vehicles such as an Audi A4, Mercedes-Benz, and Land Rovers. 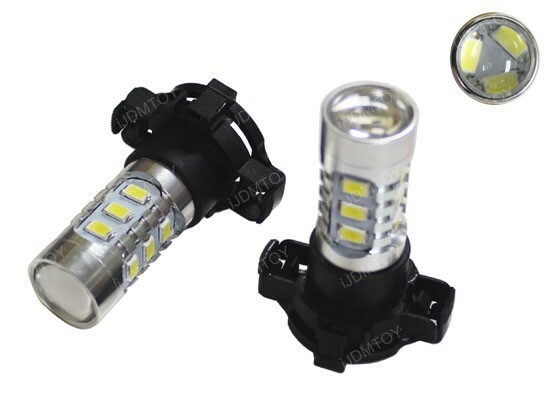 You can check out the complete compatibility list using the link we provide for these LED turn signal lights. A matching set of lights when you are driving at night is always a very clean thing to see on the road and it does you stand out from the rest of the lights in traffic. This customer decided to replace his turn signal/parking light bulb with our 60-SMD 7443 Switchback LED bulbs which light up as Xenon White (6000K) when the parking lights are on and blink Amber when the turn signals are used. 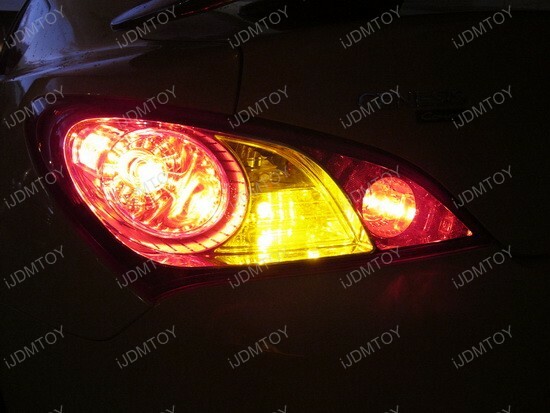 Due to its innovative design, the light remains legal since the turn signal indicator still remains Amber. To mitigate the issue of hyper-flashing; a phenomenon that is related to LED turn signal bulbs that cause the indicator to blink at a rapid rate than normal, this customer used our 8-pin 12v Electronic LED Flasher Relay made for Toyota vehicles. Instead of using traditional load resistors which require splicing and tapping of the existing wiring, the flasher relay replaces the existing turn signal indicator relay in a plug and play fashion. With these two components, the 60-SMD 7443 Switchback LED Bulbs and 8-pin 12v Electronic Flasher Relay are both plug and play items that go together very well. This particular customer opted to get our 60-SMD 7443 Switchback LED bulbs, but we do have other variations available such as our brighter 27-SMD Bi-Color 5050 7443 and brightest 4w High Power Projector Style LED switchback bulbs. Whatever choice you make on the switchback bulbs, we are certain that you will not be disappointed in the results that these bulbs will do to your car. Don’t wait any longer and make sure you go to our website and order a set! If you look at this 2010 Hyundai Genesis Coupe, you just can’t miss the super bright 1156 LED bulbs installed for turn signal lights. The owner wanted a custom look with instantly responsive turn signal lights and he went with these amazing iJDMTOY 1156 LED bulbs. 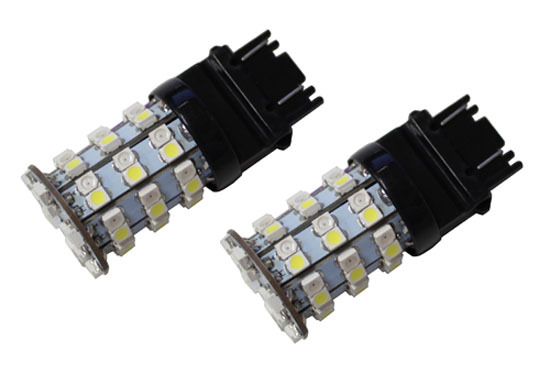 Thanks to 18 beautiful high quality 3-cell 5050 SMD chips per piece, providing 360 degrees illumination, the featured LED Turn Signal Bulbs are much brighter and colorful than the stock OEM dull yellowish tungsten lamps. What’s more, you can get this quality long lasting bulb in Xenon White, Ultra Blue, Brilliant Red or Amber Yellow to match your taste and style. But have in mind when using these LED bulbs for turn signal lights, you might need to add a pair load resistors to prevent hyper flashing or malfunction problem. Stock bulbs tend to burn out occasionally over time and this happens when you need them most. We all have been in such situation when we switch our turn signal, but lights doesn’t work and we confuse other people in what direction we are going. Save yourself the worries and replace your stock turn signal bulbs with more effective and low-energy consuming LED bulbs. Being plug and play, installation is really simple. Just plug out the old bulbs and install the new neat-o LED bulbs with load resistors to avoid potential issues. However, you can always contact the iJDMTOY support guys for help with installation. 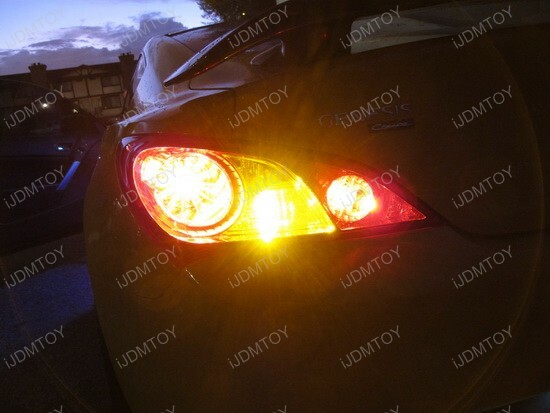 The featured 2010 Hyundai Genesis Coupe looks incredible and gets more attention from people with its brand new LED Turn Signal Bulbs. 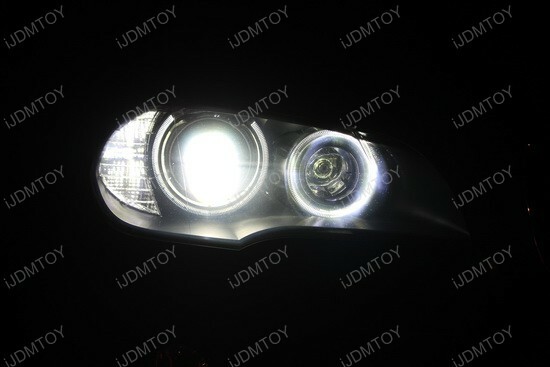 With LED upgrade like this, the vehicle will be more noticeable in bad weather, which dramatically raises the safety bar for good. 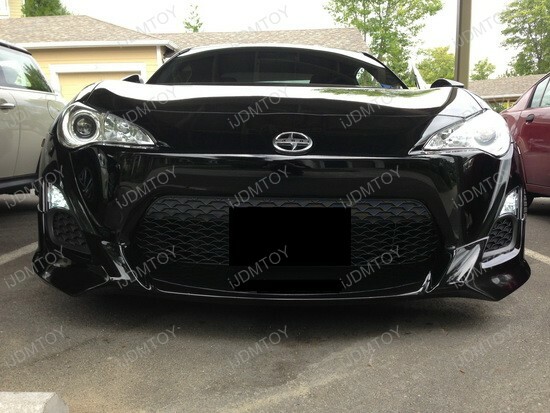 And at last, but not the least, you’ll dramatically change your car’s appearance for just a few well-spent dollars. So, if you want to increase the safety, improve the overall look of your ride and you have just one shot – iJDMTOY is the right place for you. 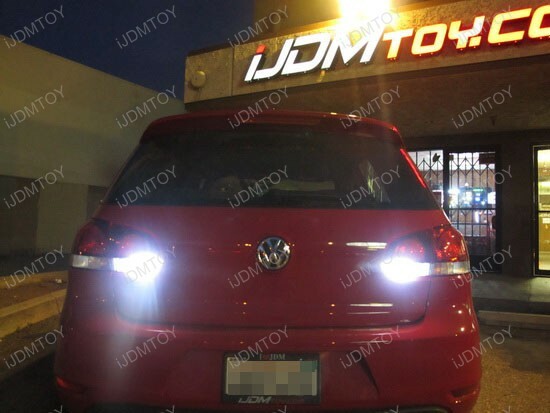 The owner of this nice 2010 Volkswagen GTi is another happy iJDMTOY customer, who upgraded his German automobile with LED Error Free Reverse Lights. 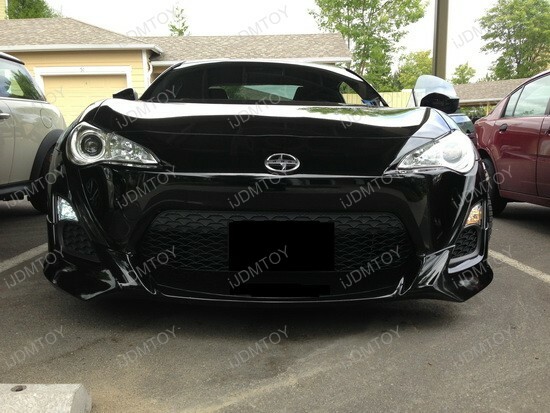 As you can see from the license plate frame, he is a regular iJDMTOY customer who knows what to buy and he cares about the appearance of his car. Take a good look at the new elegant image with its unique silhouette and sleek stance that is capable to evoke passion in any passerby. The 6000K Xenon White color, coming out of these super bright 7440 LED Backup lights makes driving backwards easier and safer. It’s like having flashlights attached to the back of your ride. 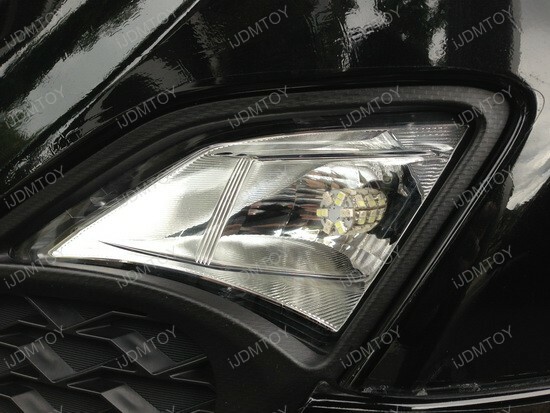 You get at least twice brighter output than the original bulbs and add more style to your car at the same time. 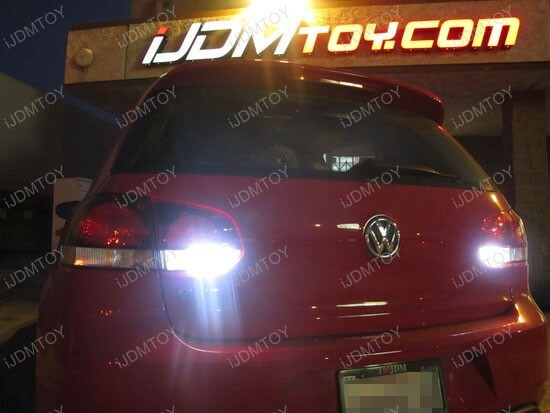 If you are looking for a way to show-off your ride, just like the owner of the featured 2010 Volkswagen GTi , go with iJDMTOY’s LED Backup bulb. In order to replace the stock reverse light bulbs, just locate the back of the lamp, then twist its socket and plug out the OEM halogen bulb. After that replace the stock bulb with the completely plug and play 7440 LED bulb and insert it back. No error will popup on the dashboard and it will work flawlessly. If you are looking for Error Free Reverse Lights for 2010 and up Volkswagen GTi or Golf, these bad boys won’t let you down when you need them most at night. 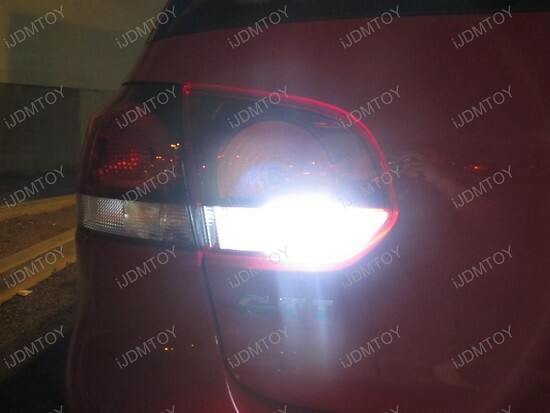 Even if your car has black-out tint for tail lights, you can still see the bright light of the 7440 LED Backup bulbs. They don’t cost a fortune, work perfect and are one of the best old stock filament bulbs replacements around.